The role of our democratic institutions is analogous to breathing – inhaling citizen input and exhaling government action. The civic technology movement is inventing new ways to gather input, make decisions and execute collective action. The science fiction end state is an enlightened collective intelligence. But in the short term, it’s enough to seek incremental improvements in how citizens are engaged and government services are delivered. This will increase our chances of solving a wide range of problems in communities of all scales. These challenges are described well in the Knight and Rita Allen Foundations’ report Scaling Civic Tech. The report notes the difference between “buyer” revenue that is earned from providing services, and “builder” capital that is invested to increase organizations’ capacities. The report calls for more builder capital investment and better coordination among donors. Other recommendations made in the report include building competencies within organizations by tapping into knowledge sharing resources and skilled volunteerism, measuring and communicating impact, and nurturing infrastructure that supports collaboration. Social Enterprise is a complex topic, and others found these selections from the Impact Giving archive from Giving Compass to be good resources. RSF Social Finance has just invested over $900,000 in four women-led enterprises that are creating opportunities for women and girls around the world: Akola Project, Eu’Genia Shea, Kreyòl Essence and Spotlight: Girls. This form of impact investing is a collaborative gift-money fund designed to provide diverse forms of catalytic capital to women social entrepreneurs at critical moments. Three of the four organizations receiving loans advance women by providing economic empowerment, education and other benefits in the U.S. and internationally. All four were founded by women and are pursuing significant growth opportunities. Akola Project—growing jewelry business lifts up disadvantaged women workers in U.S., Uganda. Founded by Brittany Merrill Underwood in Uganda in 2007 and now based in Dallas, the nonprofit Akola Project has a rapidly growing jewelry business that employs women facing high barriers to employment. Eu’Genia Shea—natural skin care products empower women across the value chain. It is a New York–based Naasakle International has supplied hundreds of tons of natural shea butter to cosmetics producers and distributors since 2000, following organic and fair trade principles and employing and empowering women throughout its supply chain. Kreyòl Essence—luxury beauty oils create economic opportunity for Haitian women. Based in the Miami area and led by founder Yve-Car Momperousse, is bringing the first 100 percent natural Haitian black castor oil and Haitian Moringa oil to the world market, and needs to expand its production to keep up with demand—particularly from its newest retail partner, Whole Foods Market. Spotlight: Girls—building leadership through dramatic arts. Operating one of the only programs for girls focused on empowerment through the arts, Spotlight: Girls uses year-round camps and a multimedia platform to educate, inspire and activate girls and women to take center stage. Read the full article about impact investing by Api Podder at My Social Good News. 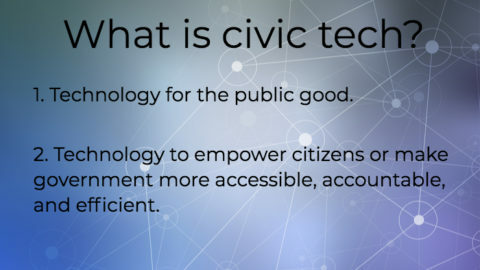 Civic Hall’s Civic Tech Field Guide provides an extensive list of civic tech organizations operating around the world and is useful in identifying players in the global civic tech ecosystem. However, the greatest missed opportunities in civic tech are at the grassroots level, where there is tremendous energy and enthusiasm but where impact is most elusive. Though Code for America supports 70+ local Brigades around the country, and Data for Democracy has nurtured a decentralized network of civic technologists, it’s still surprisingly difficult to share information and get the right people working on the right projects at the right time. DemocracyLab is working to solve this problem by making it easier for skilled volunteers to discover and contribute to projects, since finding volunteers is typically the first obstacle projects face when working to prove their concept. Our platform launched in August and is showing green shoots of impact. Many participating projects are reporting progress that wouldn’t have been possible without our platform and supporting programs. Examples include Ready Set Vote, which found volunteers to rewrite the back-end of their customized ballot guide service so that it is extensible outside of King County; OrcaSound, which recruited 10 UI/UX designers, full stack developers, and data scientists as on-going volunteers within their open-source effort to listen for whales in Puget Sound; No School Violence, which is using data to identify children at risk and facilitate interventions; and eLiberate, which is improving the user interface for its online implementation of Robert’s Rules of Order. DemocracyLab’s next priority is building features for donors to make targeted contributions of seed funding to promising projects. 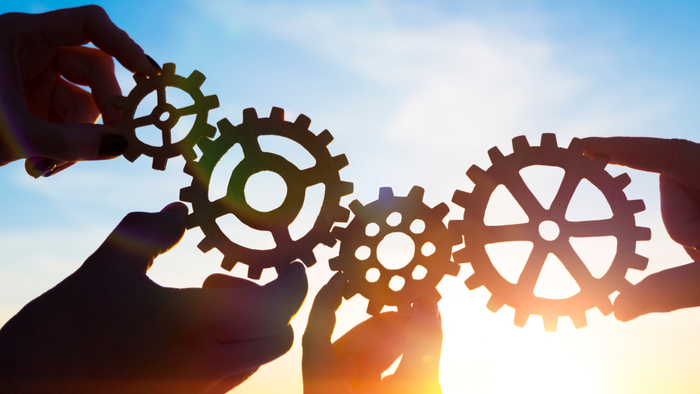 We believe that by connecting projects to volunteer labor and donor capital that we can help more projects launch successfully. This will increase opportunities to learn about best practices and accelerate the evolution of innovative new civic technologies. Solving today’s most significant problems will require new ways of organizing our collective intelligence and executing actions effectively. The civic technology sector won’t solve any of our intractable problems on its own, but it will make solving all of these problems easier. In a world of downstream solutions, civic tech holds the promise of an intervention at the headwaters. Original contribution by Mark Frischmuth, Executive Director of DemocracyLab.